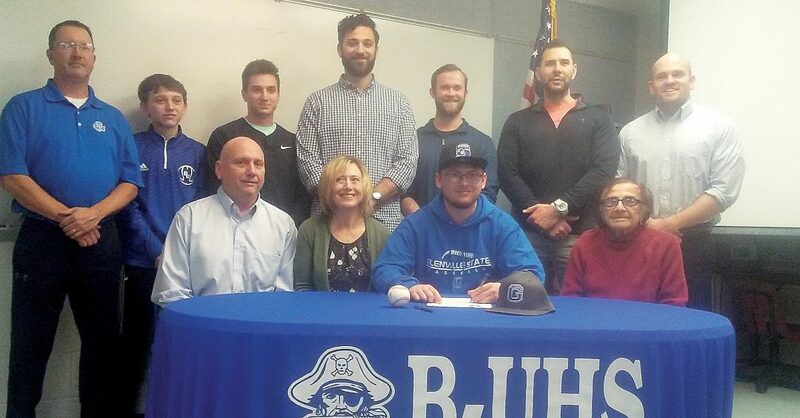 The Inter-Mountain photo by Joey Kittle Buckhannon-Upshur’s Nick Calef-Boring signed to play baseball at Glenville State on Thursday afternoon in front of family, coaches and friends. TENNERTON — Buckhannon-Upshur’s Nick Calef-Boring will be taking his bats and glove to Glenville State next season. The Buccaneer standout signed his letter-of-intent to play baseball with the Pioneers on Thursday afternoon. “It means everything to me,” Calef-Boring said of playing at the next level. 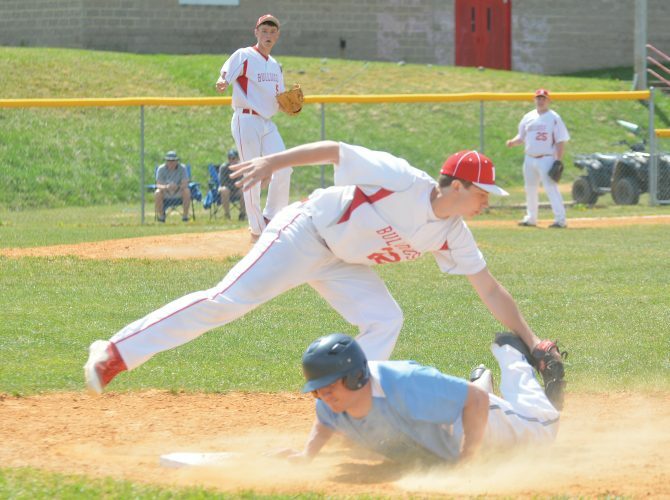 “I’ve played baseball since I was 5-year-olds and it has always been a dream of mine to play college baseball. Calef-Boring said he was drawn to GSC for several reasons. Calef-Boring is not sure what position he will play at Glenville State. 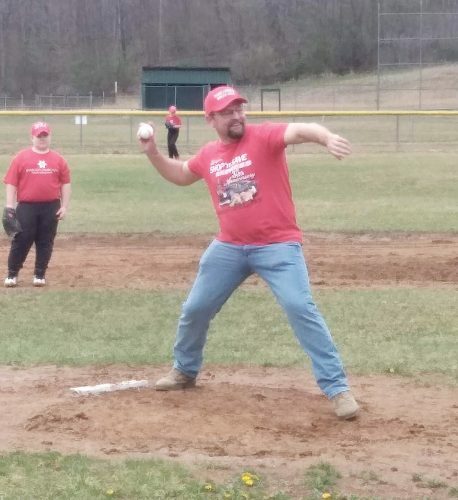 He has played first base, in the outfield and served as the DH during his playing days at B-U and with the Buckhannon Post 7 American Legion squad. “As a coach, you take great pride when one of your players signs to play at the college level,” B-U coach Adam Squires said. “I’m glad to have played a little part in it. Calef-Boring will be entering his fourth season playing varsity ball for the Bucs. He batted .364 as a freshman and .344 as a sophomore. He responded by hitting at a .458 clip as a junior with 31 RBIs and six doubles in earning all-Big 10 Conference first-team honors. Calef-Boring, who plans to major in business at GSC, led Post 7 in 2018 with a .522 batting average, driving in 40 runs, cracking seven doubles and two triples.